Brittan Braddock is in her final year as a graduate teaching assistant and conducting student pursuing the Doctor of Musical Arts degree in Wind Conducting and Literature at the University of Colorado Boulder where she conducts and assists in all aspects of the band program. Ms. Braddock was formerly a graduate assistant at Indiana University of Pennsylvania and frequently guest conducted the IUP Wind Ensemble, Symphony Band, Concert Band, and the Indiana Symphonic Winds. Part of her assistantship was to assist with the teaching of Instrumental Music Education Methods, Fundamentals of Conducting, Advanced Instrumental Conducting, and Conducting Seminar. Prior to her work at IUP, Ms. Braddock was the Director of Bands for Custer County School District CR-1 in Westcliffe, Colorado where she was responsible for 5th-12th grade instrumental music, high school choir, music theory, and drama. While in Westcliffe, she founded and conducted the Sangre de Cristo Community Band, an ensemble that performs five times a year with tremendous community support and pride. She has also held teaching positions in Cotopaxi’s Unified School District in Cotopaxi,Colorado and Austin Business and Entrepreneurship Academy in Chicago, Illinois. In June of 2018, she traveled to London, England as a J.D. 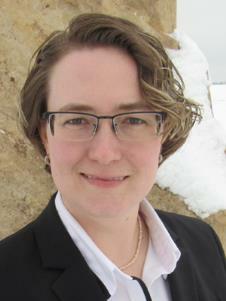 Ogilvy Travel Fellow through the British and Irish Studies department at CU Boulder to research the chamber wind music of Ruth Gipps and the Portia Wind Ensemble. This research will culminate in a project designed to reintroduce these pieces into the repertoire. She holds degrees in music from Concordia University of Chicago and Indiana University of Pennsylvania. Her primary conducting teachers include Dr. Donald J. McKinney, Dr. Timothy Paul, Dr.Jack Stamp, Dr. Richard Fischer, and Dr. Maurice Boyer.